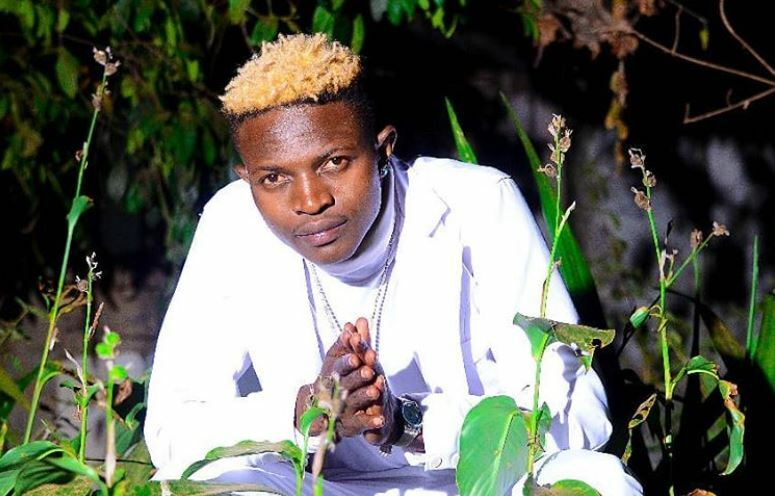 Mr Seed may have forgiven Bahati but the likelihood of returning to the singer’s EMB record label is next to zero. 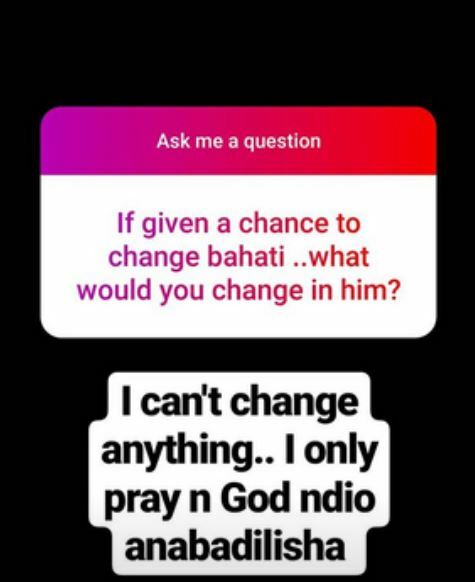 The father of one, who was unceremoniously forced to quit the Eastlands Most Beloved label, made the revelation in a Q&A session with his fans on Instagram. 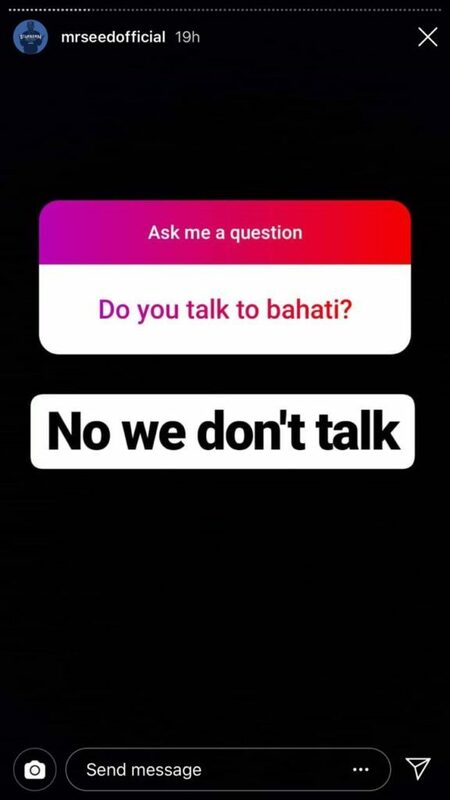 Mr Seed also revealed that he still doesn’t talk to Bahati after their bitter fall out. 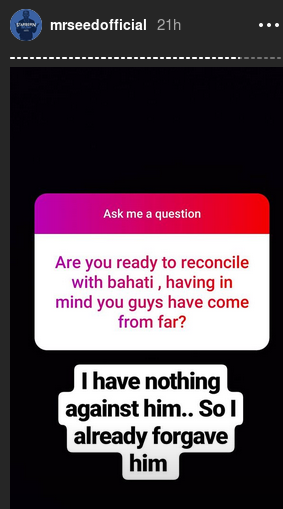 When he was asked to forgive Bahati, Mr Seed noted that he has no hard feelings against the gospel singer. 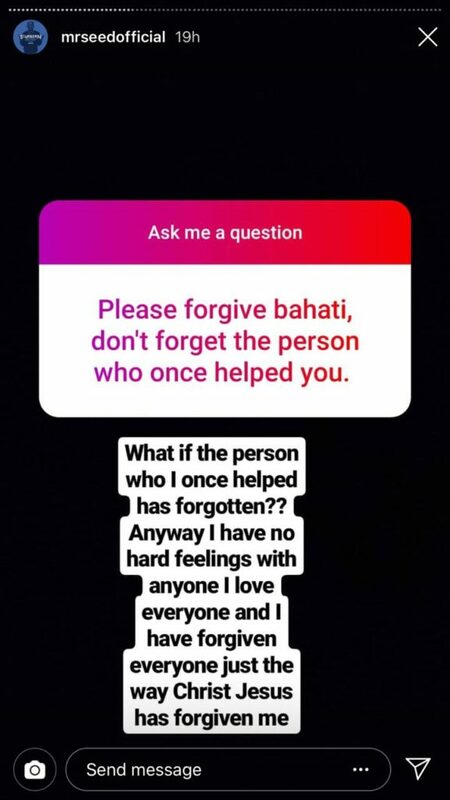 “I have no hard feelings with anyone. I love everyone and I have forgiven everyone just the way Christ Jesus has forgiven me,” wrote Mr Seed.